So much can be done if we plan things that we need to do together with the things that we want to do. That is when planner templates become useful. Planner templates are very useful and effective planning tool that allows you to keep things organized without any hassle. There are many types and variations of a planner template, that are mostly designed based on specific uses. One of them is a workout planner template. 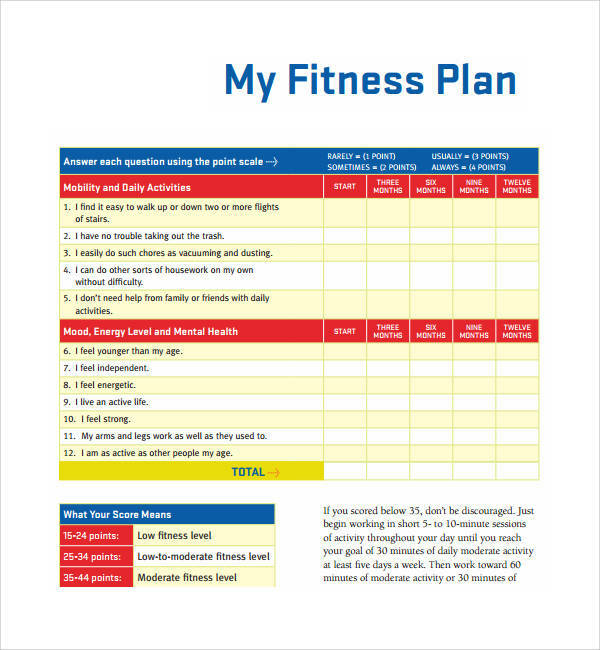 In this article, we have included workout planner samples and templates that you can use and download for free. 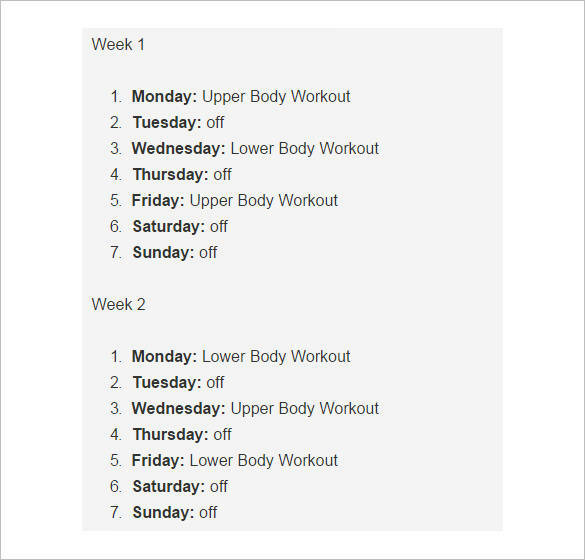 Useful discussion about what a workout planner template is, its uses, why is it important and many more have also been included to help you learn and understand about this amazing tool. 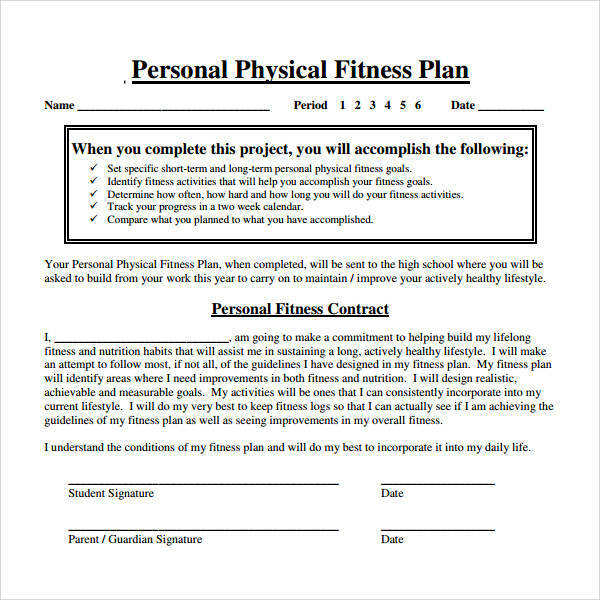 What Is a Workout Planner Template? 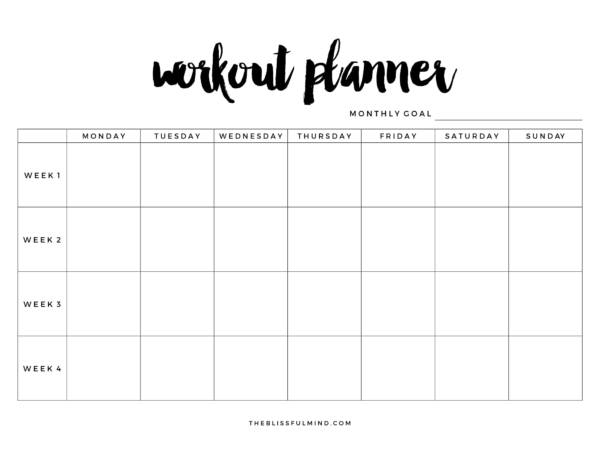 When you need to do your daily workout but you just can’t figure out how, then the best thing for you to do is grab a workout planner template and start planing for it. 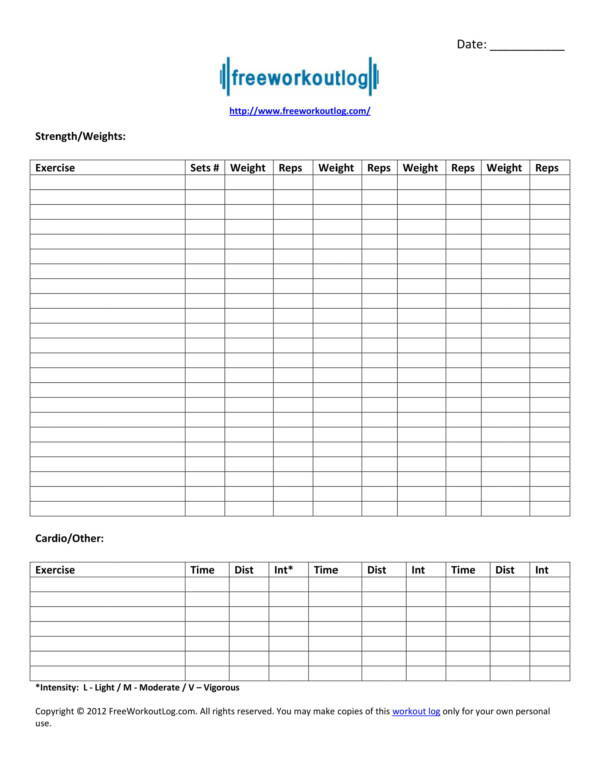 A workout planner template is a very convenient tool that allows you to manage your time efficiently so that you will be able to squeeze in some time for a workout. 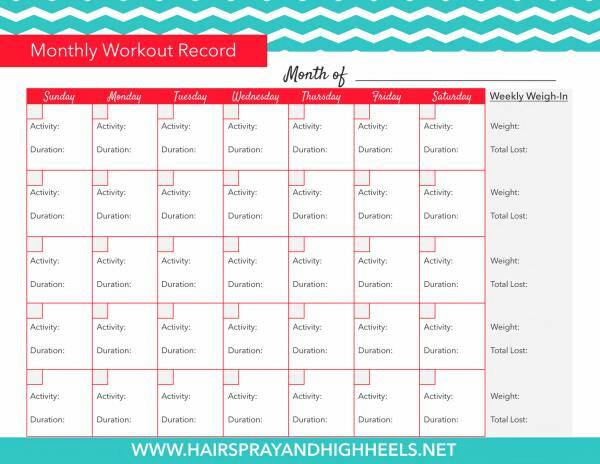 The template includes information that can help you set realistic workout goals that you can stick to even with a busy schedule. 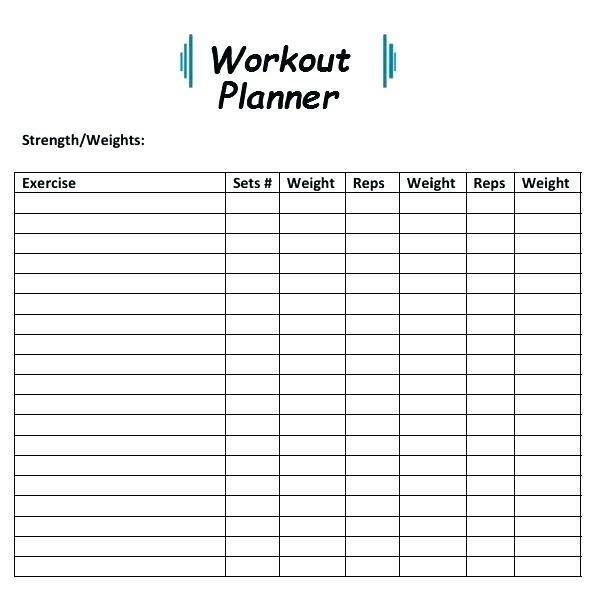 It is specifically created to help plan for workout, but there are also other things that a workout planner template can be used for and they are the following. 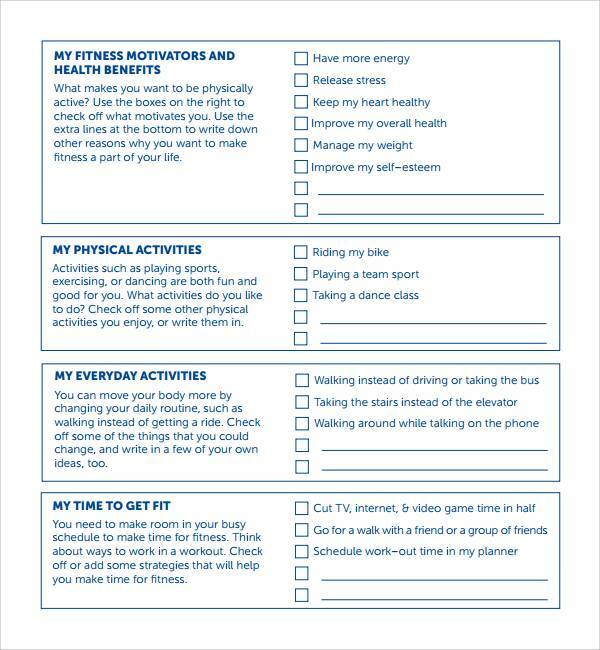 Time management – Managing your time will definitely be easy with the use of a workout planner template. It s because you can plan the things that you do in an orderly fashion, which enable you to allot just the right amount of time for doing each task or activity. This also allows you to be able to include or squeeze in some time for a daily workout even with a very busy schedule. Organization and prioritization of tasks – Listing down all of your tasks and activities for a particular period of time helps you prioritize which tasks or activities need to be attended first. You then organize them based on how important they are. In turn, it will give you more time to do other things. Task guide or reference – After finishing your workout or a after finishing a certain task, you would probably think of what to do next and that often takes time, especially if you don’t really remember about it at all. Using your workout planner as reference or guide for the tasks or activities will help you save time and ensure that you don’t forget about them. Keeping track of tasks/activities – By putting mark on the tasks that you have finished, you will be able to tell your progress and determine which tasks are already done. This is the perfect tool for keeping track of all of your tasks and activities. On time completion of tasks – The planner is also very useful when you want to finish all of your tasks on time. This is because you can set a due date for your tasks which reminds you to work on them on or before the said date. Depending on your personal preferences, there are actually more uses of a workout planner than the list provided above. It will surely help you get things done and still be able to do your workout routine without any problems. Also check out other related articles, like Study Planner Templates, SEO Planner Samples and Templates, and Training Planner Samples & Templates. 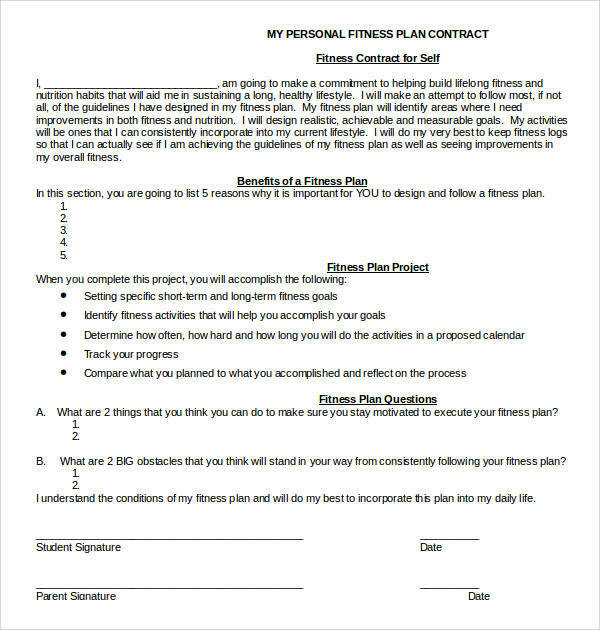 Why Is There a Need to Plan for a Workout? Working out regularly or on a daily basis offers a lot of benefits to one’s well-being. As much as possible, individuals are encouraged to do exercises not only to help them stay fit, but also to help them become healthier and happier. So how does planning for a workout help? Here are a couple of answers to that question. With a workout plan, you will be able to find time for exercising. Everybody just seems so busy that jogging and all other forms of exercise is just in their way to be being successful. But if you plan it out and implement it, it can be done. Scheduling a specific time of day for your workout routine or exercise routine actually allows you to become consistent with doing it. If ts is scheduled, this way you won’t ever think of skipping your workout time for that day. Committing to a workout plan is hard, but doing so will help you attain your desired or ideal weight. This can only be made possible through frequent workout, which can be done with a proper workout plan. Why try different random workout routines when you can create a plan for one that has been proven effective? 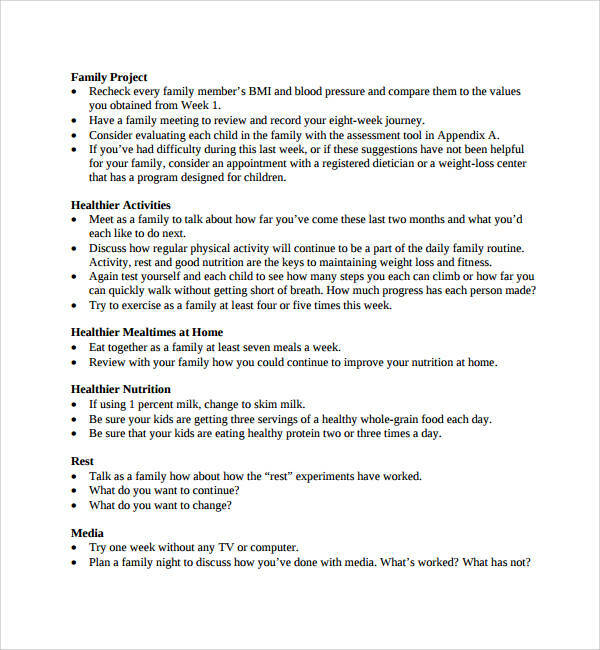 And so that you won’t forget about this plan, it is best to write it down on a workout planner and have it posted on your wall where you can see it while working out. A workout plan helps you in preventing over raining yourself and under training yourself by planning out just the right workout routines and sets for you to follow regularly. Why are you working out again? It is because you have goals and objectives. Planning for your workout helps you set specific goals and objectives that will motivate you to follow your workout routine and work even harder. Your plan will tell you how long you should be working out and when you should stop so that you won’t burn yourself out. It is important that you keep things balanced when doing your workout or you might just end up being unhealthy than healthy. Ever wonder why there are these people called gym instructors? Gym instructors provide you with instructions on what to do and tells you the things that you must do when working out in the gym. Well, your workout plan works just the same way as it provides you with a list of the things that you will be doing in correct order. A lot of us think that planning for a workout routine is just a waste of time that is why we tend to skip this step and hurry on with exercising. Planning for your workout is actually one of the most important ways to help you with effectively establishing a workout routine and reach your desired fitness goals. Planner templates, like Personal Planner Samples and Templates, and Hourly Planner Samples and Templates can offer a lot of useful things not just with working. You should start using them now. Workout planners have a lot to offer from creating an effective workout plan to implementing the planned workout routines. Planner templates in general are also very useful and they offer a lot of advantages for its users. So that you would know both good and bad about it, here is a lit of the advantages and disadvantages of planner templates. It is very easy to make and acquire planner templates as they are readily available online and are mostly for free. Since this is a very simple tool, creating one is also a breeze and does need one to be a genius at it. The available planner samples can also be edited to one’s liking and preference so that they can use it for personal purposes. It makes planning easy and convenient so that you can easily get the job done. Planner templates are widely used for organization and keeping track of a variety of things. This includes, tasks, activities, work and other commitments. You are sure to accomplish whatever tasks you have with the use of a planner template. Writing down these tasks on the template is better than trying to remember them mentally. Your list of tasks will help you quickly remember the things that you have to do that way you are always on schedule. Planner templates also help you save time, energy and brain power. This is because you no longer have to force yourself to remember a particular task that may take you a couple of minutes to forever to remember. That is not just a waste of time, but it also drains you of so much energy and brainpower by forcing yourself to remember what those things are. You can use them on more important things. Since you have a list of the things that you need to do including the details of those things, prioritizing these tasks should be easier to do. Prioritizing tasks is important so that you can attend to the things that need to be attended first and do the rest according to how important they are. Using and keeping a planner template allows you to keep track of your accomplishments or work progress. You will know which tasks are done and which ones are coming up because you will see marks indicating its status. Seeing your progress will also further motivate to work harder. Planner templates are not perfect so using them also has its disadvantages. The success and effectiveness of a plan does not solely rely on the template but more on the user. A planner template needs to be checked and updated regularly for it to be useful. One should have the patience and perseverance when using this tool. It also takes a lot of hard work to be successful with it as it does not work like magic. 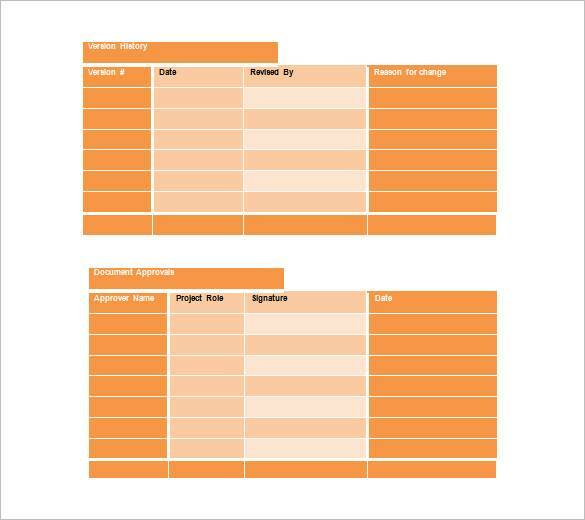 A planner template can only provide help with organizing and prioritizing tasks when the user is able to implement the plan and stick to it until they have attained their desired goals and objectives. There is no one planner that is perfect for ll of your planning needs so you will need to use separate for different purposes, especially if they are used for very different things. The list clearly shows that the advantages of using a planner templates outweigh the disadvantages. We hope that these advantages are able to motivate you to start using planner templates. 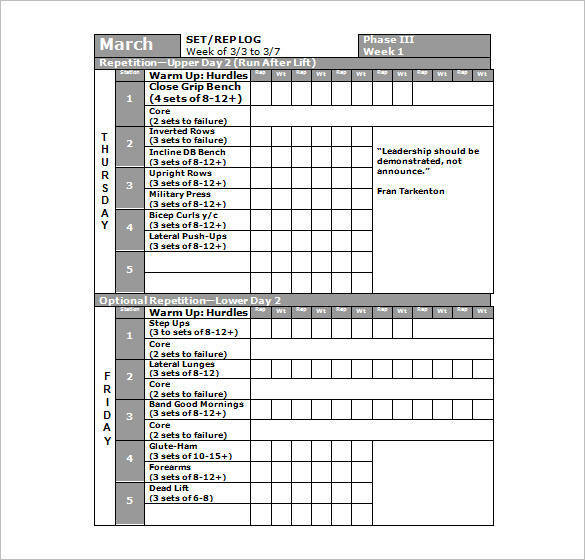 For more useful samples and templates you make check out articles, like Homework Planner Samples and Templates, Monthly Budget Planner Templates, and Agenda Planner Templates. What Is Commonly Included in a Planner Template? So what can you actually find in a planner template? It is a pretty simple tool so the things you will find in it are really easy to remember. You surly don’t have to memorize them. These are the things that you can commonly find in a simple planner template, but there could be more depending on the user and planner template is going to be used for. We hope that you are able to find this article useful and informative. You may also check out other useful articles that we offer, like Daily Planner Templates, Party Planner Samples and Templates, and Dinner Planner Samples and Templates.